Our hygienists can play a vital role in your oral healthcare routine, and can make a huge difference in our ongoing efforts to help you to keep your teeth for life. The main role the hygienist plays is helping you maintain a healthy mouth, avoiding problems such as decay and gum disease (the biggest cause of tooth loss in adults). Gum disease often goes unnoticed because it is generally painless, but over time it can cause lasting damage. With a good oral healthcare routine and regular visits to the hygienist its progress can be significantly slowed down or even stopped. 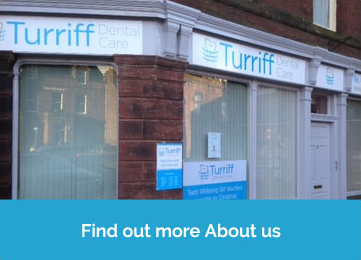 During your visit your teeth will be cleaned professionally. The hygienist will gently remove any plaque from your teeth, together with tartar, which is a hardened form of plaque. They will also give your teeth a polish, making them feel fresh and clean and making it more difficult for the plaque to stick to them. The hygienist can also advise you on the best way to care for your teeth and gums, including an effective daily cleaning routine and following a healthy diet. 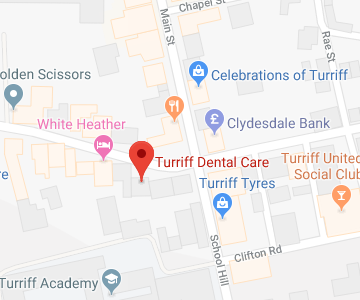 Please contact us our practice in Turriff for more information or to book an appointment. To comply with data protection regulations (2018), we are unable to store and use your information unless you give us your permission. Please select Yes to allow this. View our Privacy and Data Policy for details.